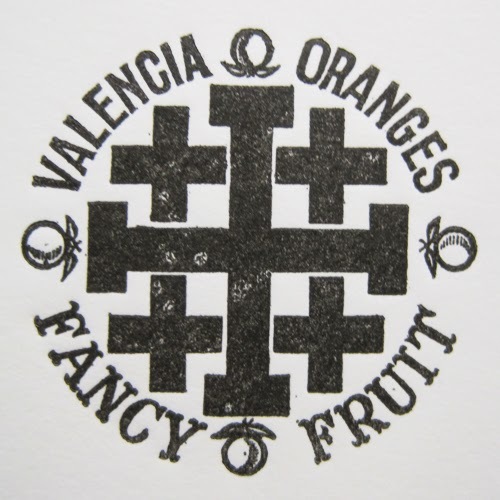 Triggered by finding this block (roughly 3cm square) in the archives of a printing business that thrived in Byker, I remembered the coloured tissue paper that fruit used to be wrapped in. 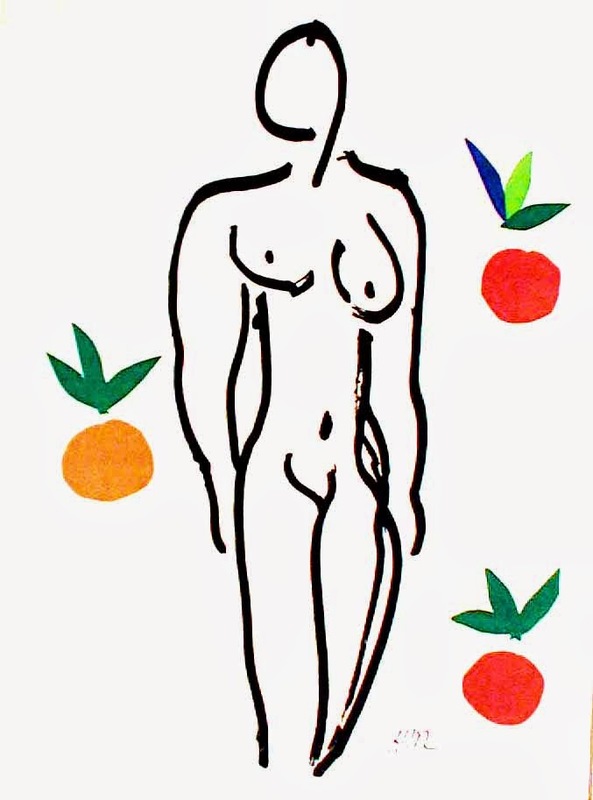 I had also just visited the Matisse paper-cuts exhibition, Drawing with Scissors at Stroud Museum, where I saw the lithographic print of his 1953 Nu aux Oranges. 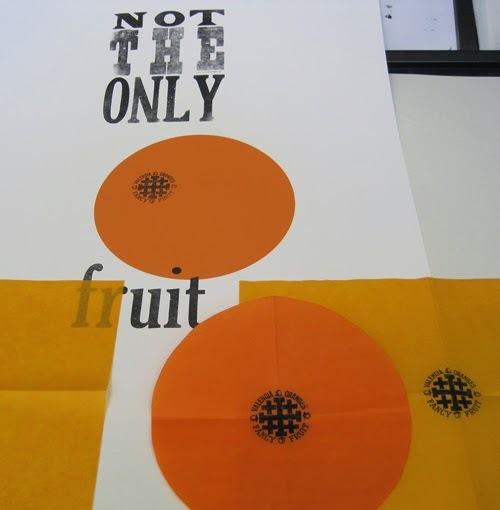 This gave me the idea to make a letterpress fruit salad, starting with this reference to Jeanette Winterson's 1985 book.